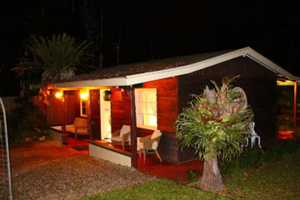 A large number of different cottages and mountain chalets are available on Tamborine Mountain, sure to please every taste. For the ultimate in privacy and relaxation! 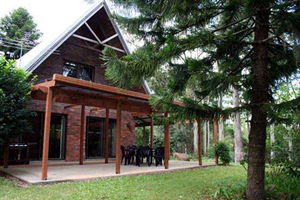 Cottages are popular couples retreats, but Mount Tamborine also offers a number of family friendly cottages with room for the kids, too! They are normally fully self-contained, but often include a breakfast hamper. If you are seeking accommodation with serenity and are ready to “switch off” – a stand-alone cottage will pamper your senses and surround you with unrivaled tranquility and relaxation. Discerning – Decadent – Delightful! 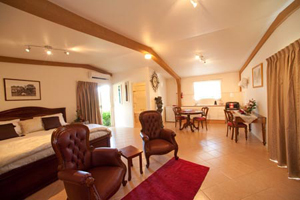 “Camelot Cottages and B&B” provide couples with that perfect ambience enabling rapid de-stressing, recharging your emotional and mental fortitude and providing a beautiful environment to reconnect and spend quality time with your partner, family or friends. This entry was posted in Accommodation, bnb, Cottages and tagged accommodation, B & B, B&B, bed & Breakfast, breakfast, Cottages, gold coast hinterland, luxurious, mount, mountain, romantic, Tamborine, tourism on January 1, 2013 by Detlef. Eco Tourism Retreat with adventure activities! 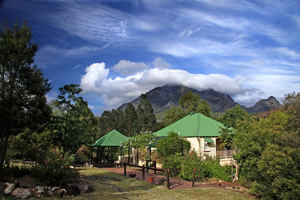 “Mt Barney Lodge” is an Eco-accredited retreat, surrounded by Mt Barney National Park, which specializes in group and family bookings and adventure activities. Unwind in genuine Queenslander Homesteads, rustic cabins or a deluxe camper trailer – all with stunning mountain views and full creek frontage. This entry was posted in Accommodation, Cottages, Houses and tagged accommodation, cabins, camping, eco, groups, lodge, mount, mountain, mt Barney, National Park, self contained, views on January 1, 2013 by Detlef. Quiet, Relaxing and Private! “Campbell’s Cottage” is a delightful “A” frame cottage situated in a secluded setting and peaceful wooded region, which is ideal to get away from it all. Campbell’s Cottage is a great place to relax, take it easy and let time pass by. Two bedrooms upstairs and downstairs mean that families and groups up to 6 can easily be accommodated. This entry was posted in Accommodation, Cottages, Houses on January 1, 2013 by admin. A sanctuary for couples wishing to escape! The “Escarpment Retreat & Day Spa” is designed to help you revive, relax and unwind. Set on four acres of lush gardens and rainforest, complete with cliff views at the rear of the property as far as the coast. Featuring romantic chalet style villas with soaring vaulted timber lined ceilings, secluded balconies, canopied four poster beds, log fireplaces and decadent double spa baths. 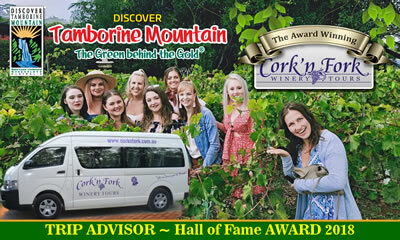 This entry was posted in Accommodation, Cottages and tagged Accommodation Tamborine, Destination Tamborine Mountain, Escarpment, Luxury Retreat on January 1, 2013 by Detlef. Peaceful, Friendly, Intimate! 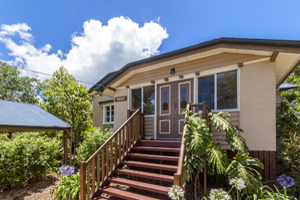 “Hillside Country Retreat” self contained accommodation and cottage provide an intimate experience of the Gold Coast’s Hinterland, ideal for a romantic getaway, honeymoons or for families looking to enjoy a relaxing break. Nestled among the unique rainforest of Tamborine Mountain with spectacular views overlooking Surfers Paradise. This entry was posted in Accommodation, bnb, Cottages and tagged accommodation, B & B, Bed & Breakfast accommodation, Gold Coast, mountain, Tamborine on January 26, 2017 by Detlef. A luxury experience! Discover the tranquil beauty of historic “Edges Lodges“ providing the ultimate alpine-style holiday experience. 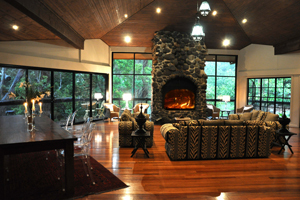 It exudes lifestyle and relaxation with its spacious living areas comprising kitchen, dining and lounge areas with elegant fireplace and cathedral ceilings and extensive views into the Guanaba valley and beyond to the Gold Coast. 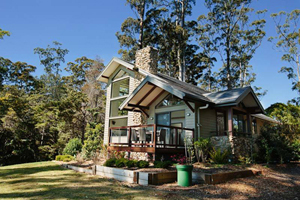 This entry was posted in Accommodation, Cottages and tagged Destination Tamborine Mountain, Edges Lodges, StBernards Hotel on December 29, 2018 by Detlef. You’ll Never want to leave “Curtis Cottage” is luxury set in secluded gardens that nestle into the rainforest at the famous “Curtis Falls”. Self contained A/C Luxury, includes Great Full Breakfasts. Large BBQ. Veranda front & back. Car port. Easy wheel chair access. No steps. This very comfy cottage is only a few minutes stroll away from cafes, restaurants and “Gallery Walk” with all its arts, crafts, gifts and brewery. 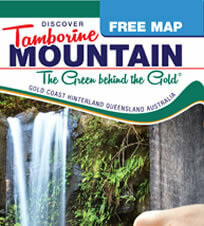 This entry was posted in Accommodation, Cottages and tagged Accommodation Tamborine, Curtis Falls, Discover Tamborine Mountain, Mt Tamborine, visit Tamborine Mountain on January 1, 2013 by admin. Cosy in the winter, cool in the summer! 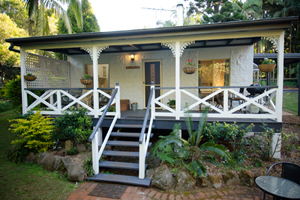 “Kidd Street Cottages” are fully self contained cottages conveniently located in the mountain village of North Tamborine, just a short stroll to many fine restaurants, shops and the historic Zamia Theatre. The delightful gardens ensure peace and privacy and a chance to view some of the mountains abundant bird life. This entry was posted in Accommodation, Cottages and tagged accommodation, family, Kidd Street Cottages, North Tamborine, self contained cottages, Tamborine Mountain on January 1, 2013 by Detlef. An Elegant Country Escape! “Wallaby Ridge Retreat” invites you to enjoy a quiet break in a secluded bushland setting with plenty of wildlife and birds. 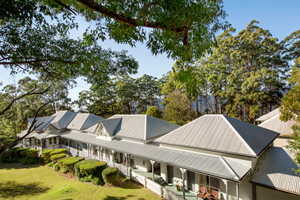 Away from the crowds but close to wineries, or mountain hop to the many National Parks and attractions of Canungra, Tamborine Mountain and World Heritage Lamington National Park. 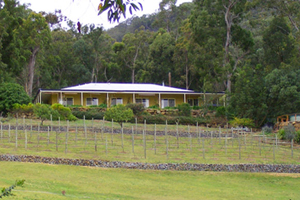 This entry was posted in Accommodation, bnb, Cottages and tagged accommodation, B & B, Bed & Breakfast accommodation, mountain, views, vineyard, Wallaby ridge retreat on January 1, 2013 by Detlef. Pet Friendly Holidays! At “Adogma’s Cottage” cats and dogs are always welcome, making this the perfect destination for the whole family. This charming mountain cottage sleeps up to 6 and pets! Close to everything (like “Gallery Walk”!) 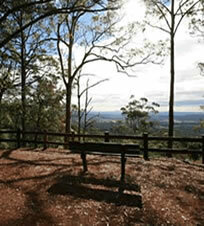 and yet private pet friendly accommodation located close to all major tourist attractions. Also Motor Cycle friendly. This entry was posted in Accommodation, Cottages, Houses, Pet Friendly and tagged Dogs welcome, motor cycle friendly, Pet freindly, Tamborine Accommodation, Tambourine Accommodation on January 1, 2013 by Detlef. This entry was posted in Accommodation, bnb, Cottages on November 30, 2016 by Detlef. Private and peaceful self-contained accommodation! 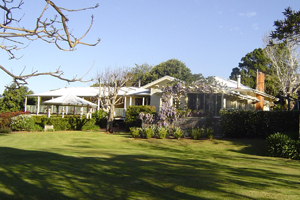 “Clandulla Cottages & Farmstay and B&B” is a tranquil and private getaway featuring luxurious self-contained accommodation. 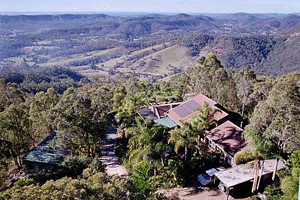 It is located in the Gold Coast Hinterland, at the foot of Tamborine Mountain, an easy 1hr drive from Brisbane or 40 minute drive from the Gold Coast. This entry was posted in Accommodation, Cottages and tagged Accomodation, animals, Clandulla Cottages & Farmstay, gold coast hinterland, mount tamborine, Mt Tamborine, National Park, Tamborine Mountain on January 1, 2013 by Detlef.